22ND March 2019, the day we Bhavanites in Kuwait had been waiting for finally came. 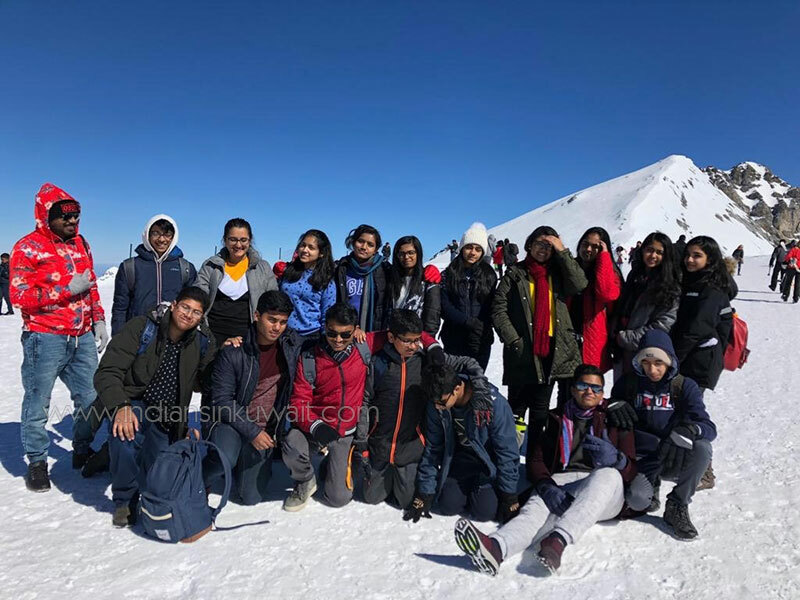 It was all the more exciting as it was the first time, we were on a family tour, the family of Bhavans Middle East from Kuwait and UAE joined for a tour. We bid farewell to our very much concerned parents, and boarded our flight to Turkey and from there to Zurich along with our Bhavans team that joined us from UAE. We enjoyed the ride from Istanbul to Zurich, taking in the scenic views and getting ready for our long day in the financial capital of Switzerland. As soon as we got our luggage, we met with our bus driver Mr. Tell, a very bubbly person. We got on our coach and went on to have lunch at a local Indian restaurant, a beautiful place full of Indian antiques. After lunch, we walked down to a picture spot and spent some quality time breathing in the fresh air. We soon met with our tour guide, Ms. Evanna, a pretty lady with blue eyes and a lot of energy and started our tour of Zurich. 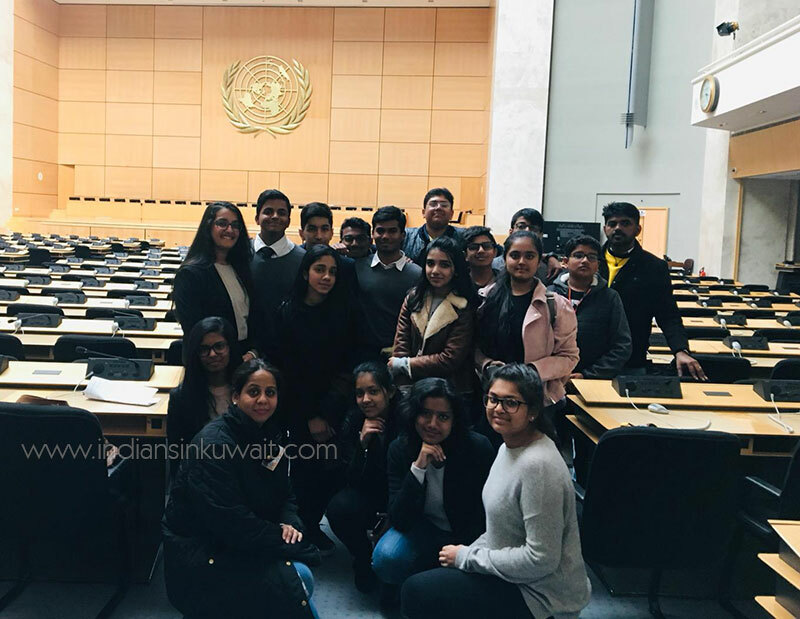 We walked around Zurich, visiting the beautiful old towns of Neumarkt and Oepfelchammer, from where we could see the University of Zurich, where Albert Einstein studied. Our tour ended with delicious Swiss ice cream and a walk around Lake Zurich which was very peaceful and calming, followed by dinner and check in at our hotel in Weggis. Waking up to our beautiful balcony views we got dresses in warm clothes and snow boots and headed down for breakfast. We started our journey to Engelberg, the fairly long ride went by with us jamming out to songs, taking pictures and laughing our hearts out. We all excitedly got on our cable cars and started our ride up the mountain, which was breathtaking as we saw the snow-covered mountains, pine trees and people skiing. We had a flavorful lunch at the top of Mount Titlis which the thought of still makes my mouth water. We moved on to the most awaited part, PLAYING IN THE SNOW! We spent quite a while targeting our friends with snowballs, running around in the snow, and taking some memorable pictures. After tiring ourselves physically, we went to the souvenir shop to open our wallets. We descended the mountain and hopped on our bus to start our journey to Luzern. We walked around Luzern, capturing the beauty of the city in pixels, did a spot of shopping there, moved on to dinner and ended night at the hotel. We all packed up, had breakfast and said goodbye to our beautiful hotel at Weggis as we started our journey to Interlaken, a rather calm town situated between the two lakes of Thun and Brienz. We passed by the Casino Interlaken and walked to the shopping area. We indulged ourselves in chocolate covered strawberries at the Vanini Swiss Chocolate chop, various fashion outlets and some toothsome crepes. As soon as we were done with lunch, we went to Lausanne and visited the Olympic Museum where we saw many exhibits of the Olympic movement and sports. We then drove to dinner at the border of Switzerland and France, which was exciting for us since we were technically in France. We checked in at our grand hotel in Veigy, France. After le petit dejeuner we started our drive to Geneva. We entered CERN and got our official ID cards, and then went to see an enlightening short film on the Big Bang Theory which shook our minds. After lunch, we met with our tour guide Mr. Mark Tyrel, a retired old man who had been working at CERN for more than 30 years. 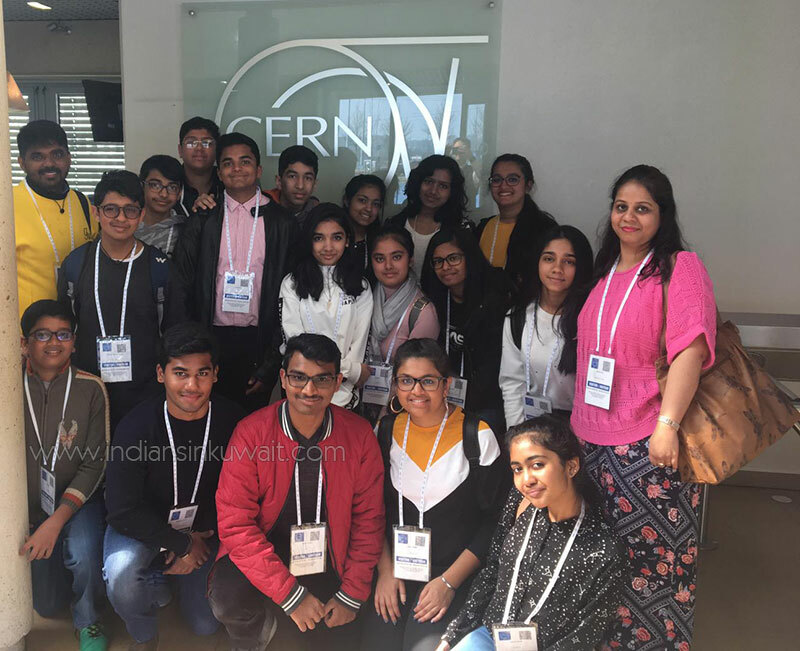 We first went to the CERN auditorium, which was the very place where physicists from ATLAS and CMS celebrated the award of the Nobel Prize in physics to Francois Englert and Peter W. Higgs, and watched a short introduction film on CERN after which Mr. Mark interacted with us on the topic “antimatter”. We then moved to see the first ever working machine built at CERN and saw another explanatory video on the working of that machine. We had a great time at CERN and all of us were speechless by the end of our tour after all the new piece of information about our universe we had just learned. 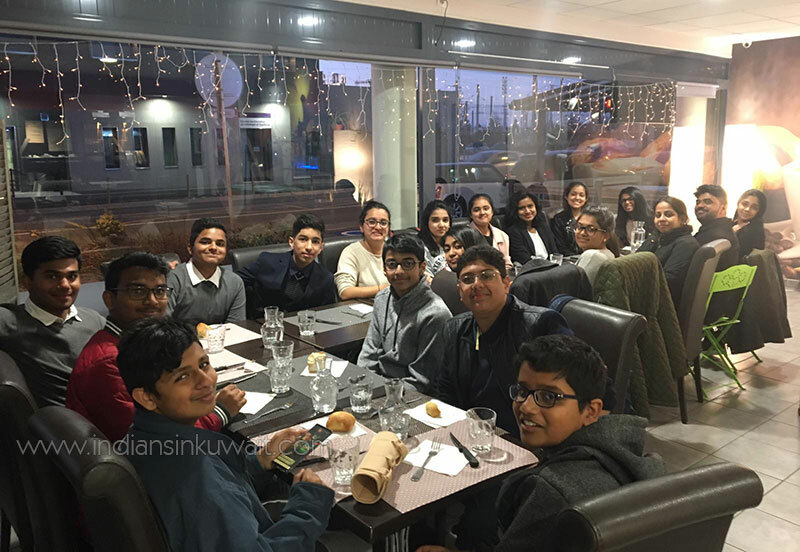 We took the bus to dinner where we also celebrated one of our dear friend’s birthday with burgers and a tasty dessert and we were back to the hotel at Veigy to end the adventurous day. The day most of us had been waiting for arrived as we ate our breakfast and got ready in formal clothes. We met again with Ms. Evanna for a short tour of Geneva. 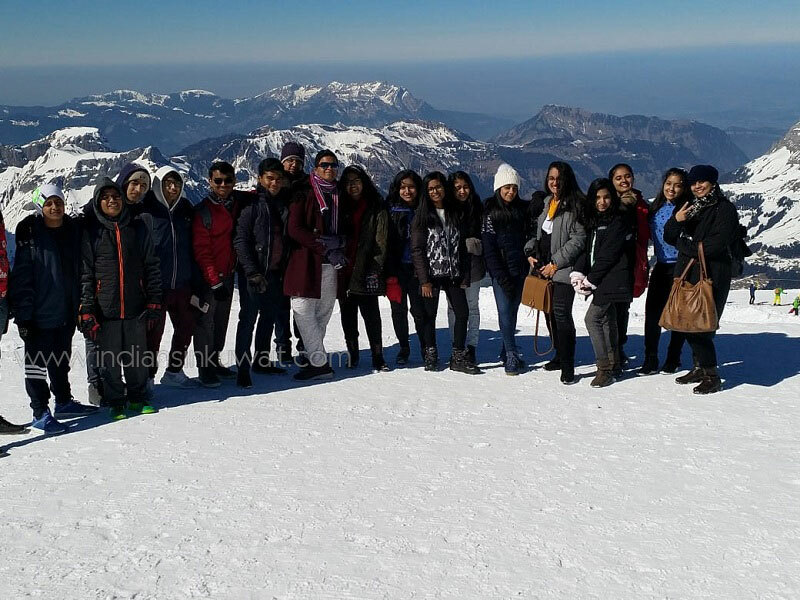 We took some beautiful pictures with the view of Lake Geneva with the faraway view of Mont Blanc, visited a few monuments and visited the St. Pierre Cathedral where we took the what seemed like never ending flight of stairs to the top to see the gorgeous view of Geneva. We had a quick lunch at McDonalds and took the bus to the UN Office. Our very sweet tour guide Ms. Monica first took us to a conference room where she explained the basic layout of any room at the UN Office. We then went to one of the recently renewed rooms, a gift by Spain with an artistic ceiling, where we discussed the general information regarding the UN and its various bodies after which we were taken to the largest room in the building where we discussed some major topics, some informative facts regarding the building of the UN, and of course some nice pictures. Our tour ended with a visit to a conference room gifted by the UAE and we were also shown a gift by Kuwait. After a few pictures with Monica, we all entered the UN Gift Shop and bought some beautiful souvenirs, then moved on to our last shopping session and ended our last night with a typical French dinner and yummy dessert. We all packed our bags as we were bound for the airport the next morning and went to bed with upside down smiles. The last breakfast ended with a quiet sadness as we all bought our luggage down and got on the bus which would take us to the Geneva Airport. Upon arrival in Istanbul, we had a few hours before our flight back home so we did some more shopping and finally boarded the flight back home. We were received by tired but loving parents with hugs and kisses. As we all said goodbye, we stored our unforgettable memories and our special bond with not only our friends but our caring teachers in a special corner of our hearts. FIRST BHAVANS MIDDLE EAST TRIP A GRAND SUCCESS!